You can now come to The Center For Dental Excellence not only for high-quality dental care but also revolutionary orthodontic services in Flossmoor, IL. We are thrilled to welcome Dr. Shehab Helal, who will be offering expert orthodontic services and the below state-of-the-art treatment options to our patients. Traditional metal braces are the most common type of braces used in orthodontics, as they are the tried-and-true method to straightening teeth, regardless of the severity of the case. 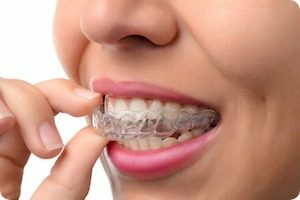 Metal braces are made of high-grade stainless steel and utilize brackets, small rubber bands, and arch wires to straighten your teeth during the course of your treatment process. They have progressed a long way in the past decade, so they can now ensure better comfort while you wear them. They are also a great way to customize your smile by using different colored rubber bands. You can customize these at each visit according to your personal preference. Getting braces typically requires a shift in many everyday habits. With brackets and wires, you have to use special interdental toothbrushes to get between brackets and underneath wires when you brush and floss. With Invisalign, offered by The Center For Dental Excellence, your smile-changing experience will only require a couple of minor changes in your day-to-day routine! Additionally, Invisalign uses clear, plastic aligner trays that are removable. This allows you to eat whatever you want, play any sports you want, and play whatever instruments you want, without being forced to adjust to the requirements associated with traditional orthodontic braces. You only need to brush your trays when you brush your teeth (after every meal) and remember to swap to the new trays every two weeks. No one will even know you are straightening your teeth! Unlike with traditional braces, Invisalign lets you enjoy the same foods as before, because you can remove the aligners before eating. You also never need to suffer from bad breath issues, because you can still brush and floss as you normally would. Invisalign has no metal brackets or wires to pinch or poke the insides of your mouth. This helps kids to feel happy at home and school. They’ll also thank you for spending less time at our orthodontic office, since it will free them up to spend more time with their friends and to enjoy the activities they love! Another popular alternative to metal braces are clear braces. Clear braces are a great way to achieve a less noticeable, healthier smile. You’ll love the natural look of these smooth, sculpted, and completely clear braces, which will not stain or discolor, and which can be blended in with your unique tooth shade. Clear braces offer our patients the look they want, with the functionality of traditional metal braces. Ready to Improve Your Smile with Orthodontic Services in Flossmoor, IL? Start your journey with braces by June 30 and get a Kindle Fire HD8 with Alexa! 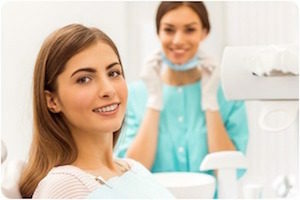 Download and read “The Top 10 Things To Know Before Choosing Your Dentist to find out the most important features your dentist should exemplify and offer. Call if you have questions or to schedule your first initial exam. One of our friendly team members will be glad to assist you.